This article is intended to help you understand what a ventilator is and how it helps your loved one. After reviewing the information should you decide you have further questions, please be sure to ask your doctor, nurse, or respiratory therapist. A ventilator is a machine that helps your loved one to breathe. Patients are usually placed on a ventilator because of a medical problem that makes it hard for them to breathe well on their own. While on the ventilator, the body is able to rest so that it can heal. The ventilator can help with breathing or totally breathe for the patient. Your loved one may feel frustrated or anxious because he/she can’t talk while on the ventilator. There are several ways to help promote better communication. For example, you can communicate on paper, computer or a drawing. There are other things you can do to comfort your loved one. Try talking to him or her as you normally would or let your loved one know you’re near by touching or holding his or her hand. Furthermore, you can speak with the nurses about what might work best for your loved one. Also, some patients have periods of drowsiness or disorientation because of the medicine they are receiving. Your loved one will be fed through an IV or feeding tube while on the ventilator. However, some patients without tracheotomy tubes are able to eat by mouth. If your loved one is strong enough, he/she may sit up while on the ventilator. Even though there may not be a staff member at the patient’s bedside, there are a number of devices that will alert the staff of any problems or changes. The monitor is a small screen above the patient’s bed; it helps keep track of things like the patient’s heart rhythm, oxygen levels and blood pressure. Both the monitor and the ventilator are equipped with alarms. Each of the alarms will alert a staff member if a change has taken place in the patient’s condition. Each sound refers to a different condition. Often when an alarm sounds, there is not great cause for concern. The problem may correct itself, and this will be monitored by our experienced staff. The ventilator brings oxygen into the lungs and helps get rid of carbon dioxide from the patient’s body. 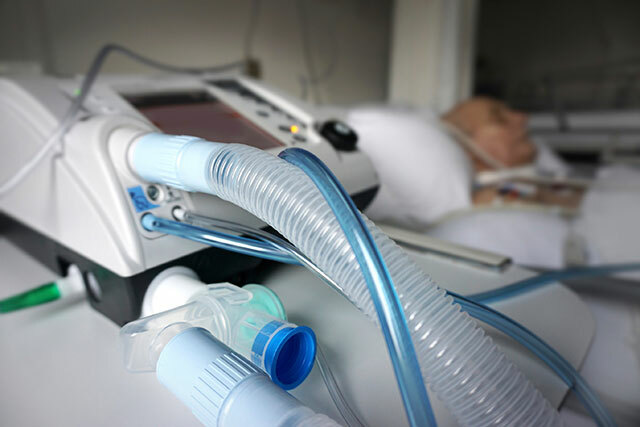 Sometimes a patient may become dependent on a ventilator because of his or her medical problems. This may make it difficult to get the patient off the ventilator. When the patient’s medical problems have improved and he or she is well enough, “weaning” will begin. Weaning is the process of getting the patient off the ventilator. This is also known as a “weaning trial” or CPAP trial. If these trials go well, the patient may be removed from the ventilator. At this point, the breathing tube may be removed from his or her throat. Trach patients will probably need additional time before the trach tube can be removed. If you have any questions about the care of your loved one, or if you hear something that you don’t understand, please ask one of these healthcare professionals. Our professional respiratory staff implements and follows proven, successful ventilator weaning protocols to meet individual needs. The hope for weaning individuals from mechanical ventilator is greater than ever at Generations at Rock Island. 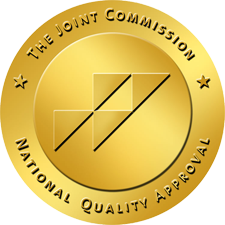 We are committed to promoting quality of life. Learn more about our Ventilator Care.